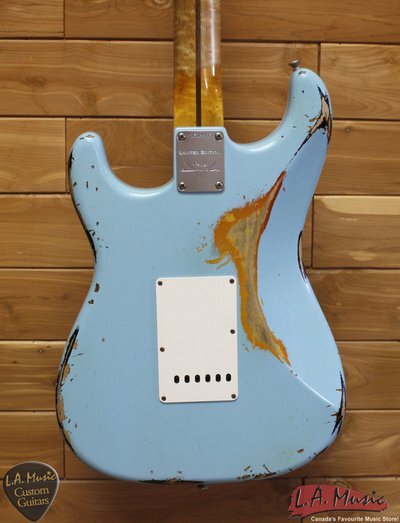 Musical mischief abounds from a spirited Custom Shop creation that delivers all the sounds of a Stratocaster and a Telecaster. 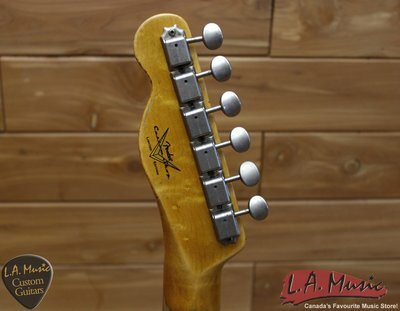 The 2016 Limited Edition Heavy Relic Mischief Maker is much more than a battered Stratocaster with a Telecaster neck-its modern wiring includes a Blender neck pickup control that delivers a full and truly variable range of Stratocaster and Telecaster tones. 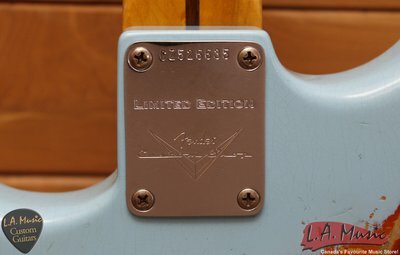 Its trio of pickups includes a hand wound 1969 neck pickup, reverse-hand wound/reverse-polarity '65 middle pickup and hand wound Texas Special bridge pickup, with even more tonal versatility from the Greasebucket tone circuit (which rolls off highs without reducing gain), master volume control and five-way switch. 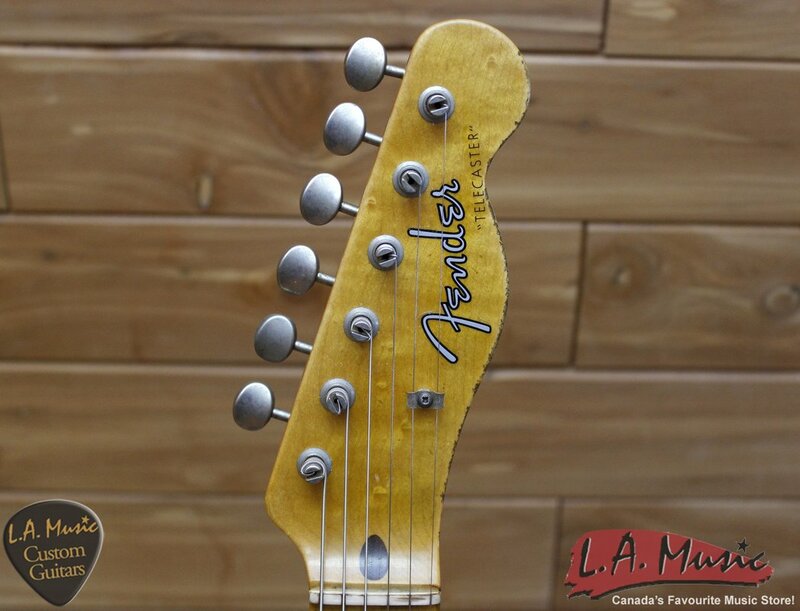 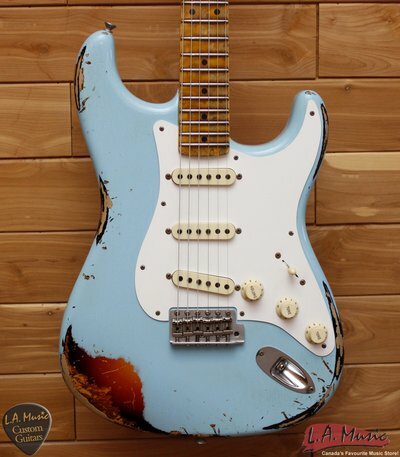 Other premium features include a Heavy Relic lacquer finish on a lightweight alder body, one-piece tinted maple birdseye neck with 10/'56 "V"-shaped profile and 9.5" fingerboard radius, jumbo frets and bone nut, single-ply eggshell pickguard and vintage hardware. 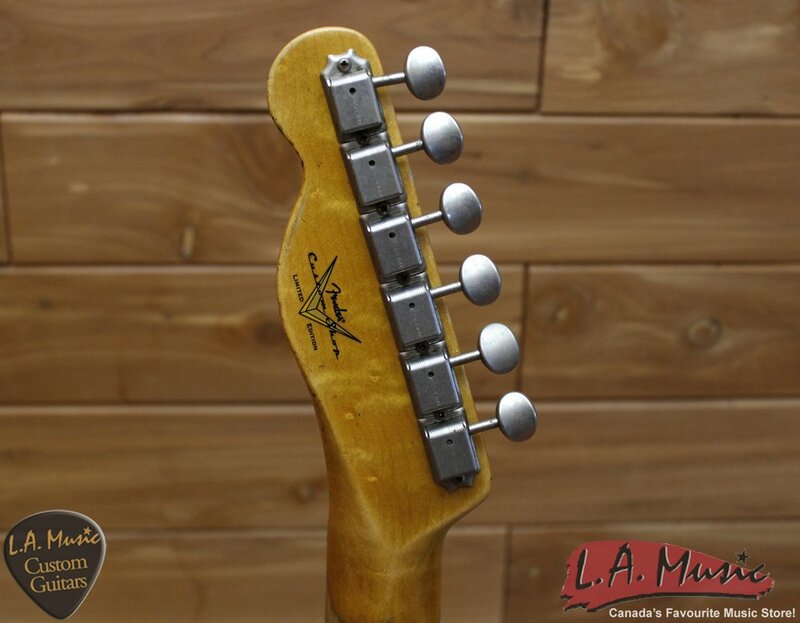 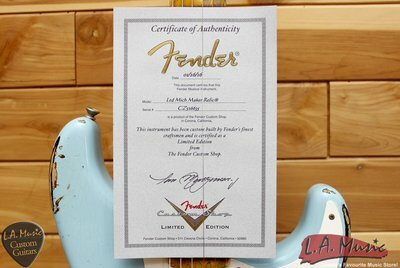 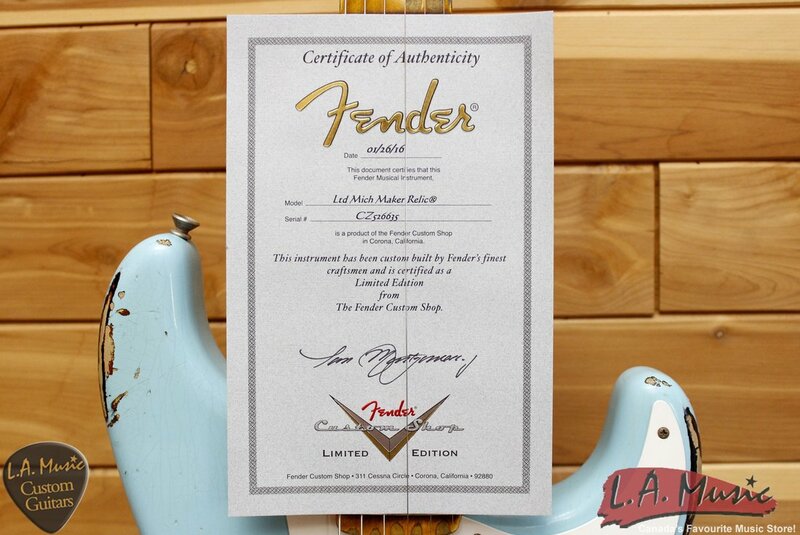 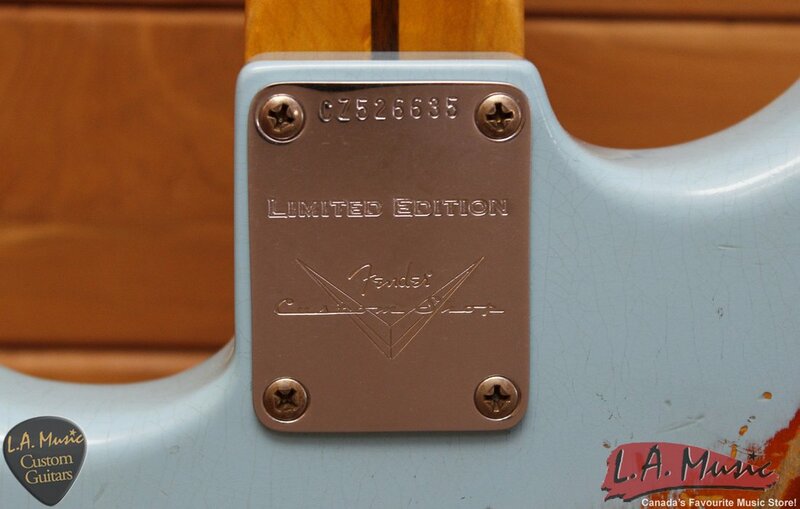 Includes Custom Shop Limited neck plate, case and certificate of authenticity. Available in Daphne Blue over Three-Color Sunburst, Olympic White over Three-Color Sunburst and Black over Three-Color Sunburst.